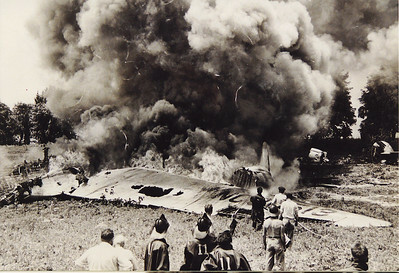 7/11/1946, Five persons were killed & 1 seriously injured when a TWA Constellation crashed in Muhlenberg Township. The plane was said to have come down in flames before crashing into a farmer's field along River Road, 1 mile north of the airport. The county sent fire companies from Temple, Laureldale & Hyde Park, while the city's response came from the Riversides & Schuykills. 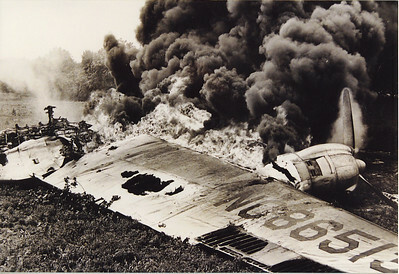 Credit to original photographer, from the Anthony Miccicke collection.